Let’s check out what are the latest trends and Crocs Spring / Summer 2017 collection ranging from the iconic clog to newer styles including sandals, loafers, canvas sneakers, wedges, heels and flip flops all designed in a myriad of vibrant colors and print graphics for the entire family.Well that day I wore one of my Crocs comfy canvas slip-on which I had it a few years back and it’s still looking cool. Now I am eyeing at the new wedges in black. It would be perfect for me because sometimes when I attend functions or events I have to stand and walk with the right height that I need, comfortable is a must and look stylish too. For Spring Summer 2017, Crocs has unveiled two new stylish collections: Swiftwater and Isabella. I like the Crocs Isabella Collection which is the more feminine, colorful and refined approach especially the bright strappy sandal. It’s lightweight fun, stylish and all-day comfort too. The Crocs Swiftwater is designed for his or her inner Weekend Warrior. Sporty yet functional, this water-resistant collection will allow one to move seamlessly from the city to the trail, the park to the lake and the studio to street. Ready for date night? This pair of Isabella Block Heel @ RM289 features flexible straps with buckles at the ankles to offer a secure fit, while the soft Croslite™ foam underfoot delivers comfort with every step. Beautifully embellished with braided straps, the 50-mm heels offer a bit of lift without taking a lady out of her comfort zone. These super versatile, multipurpose sandals can take a person from the day to night with ease. Flexible, comfortable straps do a great job of hugging the feet while still allowing the feet to be pulled and taken off with ease. The Women Swiftwater Wave Sandals @ RM189 is a functional footwear with soft and flexible TPU upper for ultimate comfort. Feel more feminine and refined with the Crocs Isabella collection. This strappy and stylish sandal is comfortable to be worn all day long. The soft translucent straps feel good on the feet with the iconic Crocs Comfort™, Croslite™ foam that cushions every step. The Isabella @ RM229 is incredibly light, easy-on, practical styles with a fun, creative edge. Do not give up on comfort or style – be yourself! The most active, water-friendly shoes to date, Men Swiftwater Wave @ RM229 feature siped outsoles to channel water away and improve traction. The enhanced range of motion with outsole flex grooves is what one needs to be athletic, ambitious and adventurous. 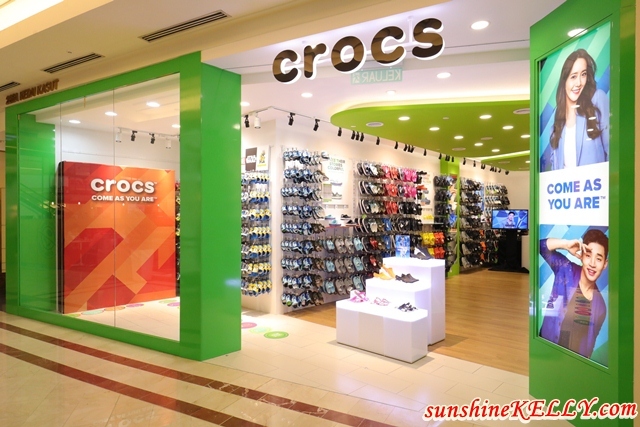 With the wide range of shoes from Crocs to express our individuality, uniqueness and sense of style at ease. 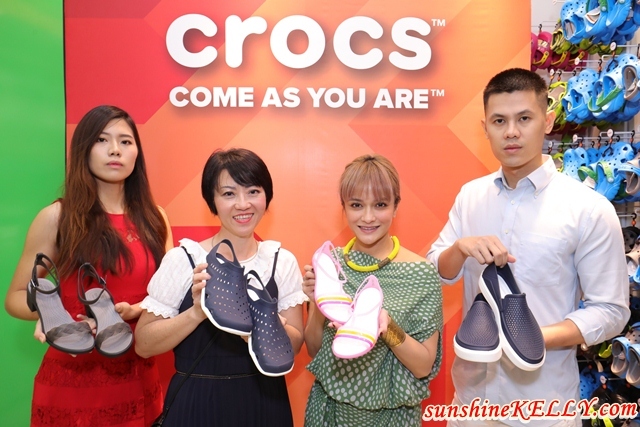 Crocs recently initiated a global campaign ‘Come As You Are’ which is led by celebrity brand ambassadors Drew Barrymore (Hollywood Actress), John Cena (Professional Wrestler), Yoona Lim (Girls’ Generation) and Henry Lau (Super Junior M). I love love love crocs!! Will check out their latest addition thanks for the update! The design look so colorful, I love it! Will check these out when I shop at KLCC. Crocs are nics but a little too expensive. I like the pair you picked too! It looks like something I can weAr on a daily basis!